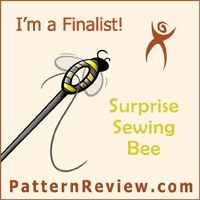 This entry was posted on Friday, October 24th, 2014 at 4:04 pm	and is filed under Sewing. You can follow any comments to this entry through the RSS 2.0 feed. You can leave a comment, or trackback from your own site. What a stunning jacket. I have made a couple in this style. You have inspired me to make another one. Brava! Wow your jacket is great! Very inspiring, I love Japanese fabrics and prints of same. I was a customer of yours, I had no idea you sold the business. You should think of joining the American sewing guild, we have a group that meets in Troy, we would love to have you come and share your treasury of wonderful garments. If you are interested, contact me. Really lovely-the colors, trim and styling all work together so well.